Your Face is a canvas! The art of makeup! 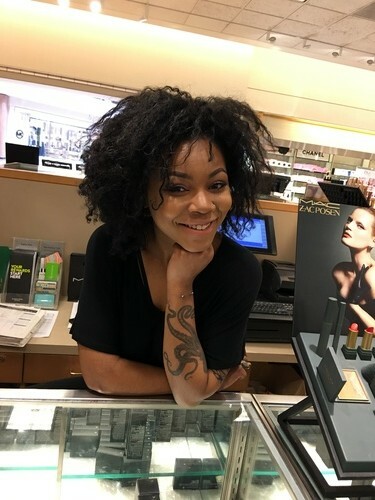 I had the pleasure of chatting with Kiwi (Sha’Kiah Johnson) at the Clackamas Nordstrom M.A.C cosmetics counter on what Instagram says is her birthday – whaaaaaat? Happy birthday to a true artist! Kiwi is a gorgeous woman naturally, but check out what she can do with her own look on her instagram page! The interview below gives an insight into how the cosmetic artist views their canvas (your face). I brought my daughter in for a 1930’s vintage makeover last month, and the transformation was incredible, taking her from a perfectly sweet looking teenager into a classic vintage beauty.. I have always held that makeup is a very high form of art, because the cosmetic artist is already working with a naturally painted canvas. Finding ways to enhance and bring out features in such a way that gives the subject more confidence and pleasure in their own appearance – well, it’s art and psychology and communication! 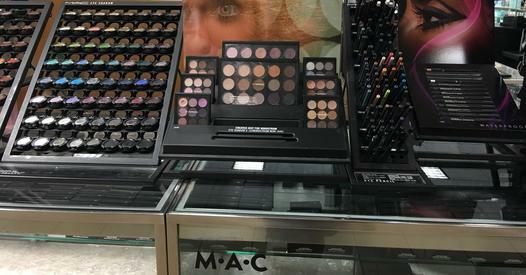 Because of the insane variety of options offered, M.A.C. provides consultants like Kiwi to help select the right colors, and formulas of foundation, blushes, powders, shadows, lip, and nail lacquer choices. The experts can apply makeup in a variety of general styles, or can customize your look for a special event. 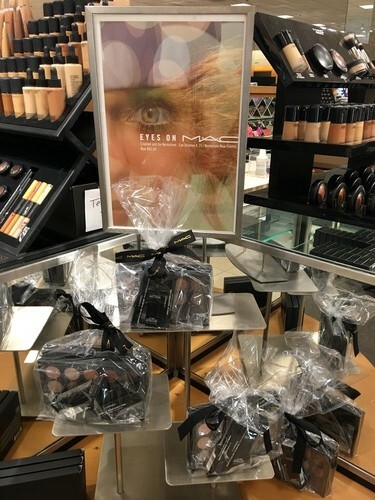 M.A.C. cosmetics is a special line of products designed with dramatic and theatrical intent – strong vibrant colors created with quality for long-lasting wear. I’ve done stage makeup for several rock shows, and this is my go-to cosmetic line. I also have sensitive skin, and M.A.C. has always been kind to my face. The company is not just about outside beauty – they have a recycling program, offering a free lipstick in exchange for six empty M.A.C. product containers. They also support local organizations helping people dealing with HIV through their Viva Glam program. 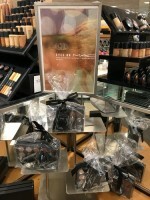 The Clackamas Nordstrom M.A.C. department works directly with Our House of Portland. Thanks so much to Kiwi for sharing her experience with us at Portland Notes! I’m always so impressed by what these artists can do! Previous PostRAW! Natural Born Artists Showcase in Portland : Signature EventNext PostThe Whiskey Darlings – Live Sessions Album available now!